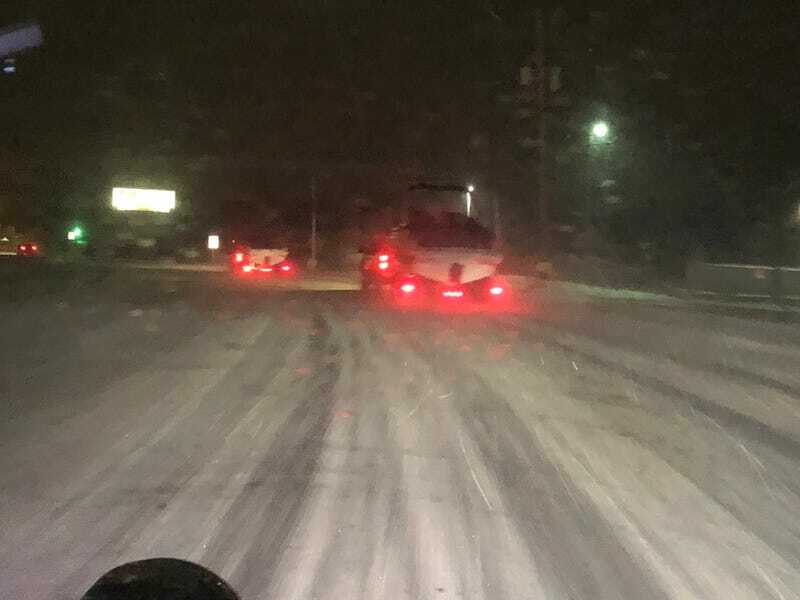 These two guys were racing back to their boat dealership after the Chicago Boat and RV Show on Sunday. Speed limit in this section was roughly 45 and they both were going about 60-70. The roads were unplowed with a few inches of packed snow so I was surprised at the size of their lower regions.